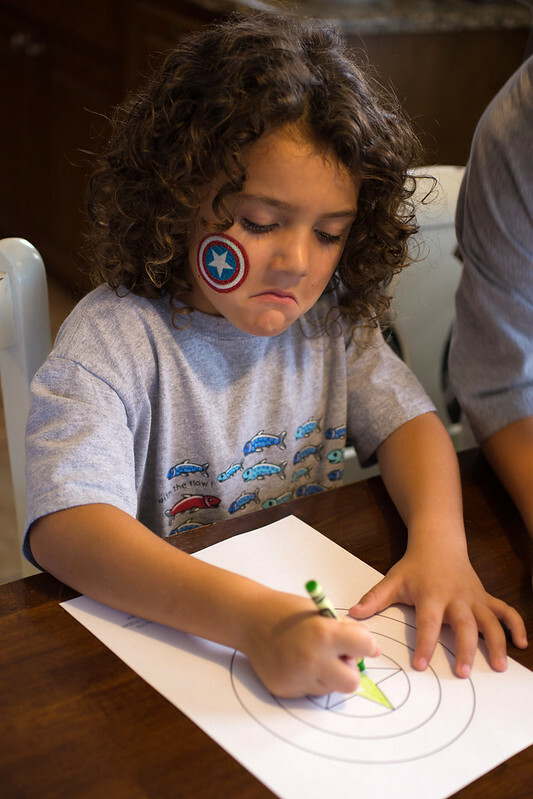 You know you have a Captain America fan on your hands when your son knows the plot twist of the new Captain America: The Winter Soldier movie before it’s even been revealed. 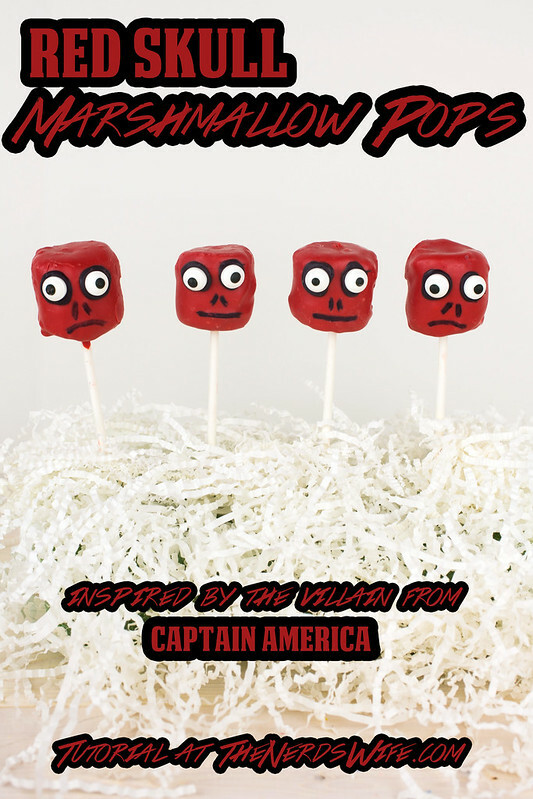 I don’t want to spoil it for you like he did for me, but let’s just say that it’s a doozy. 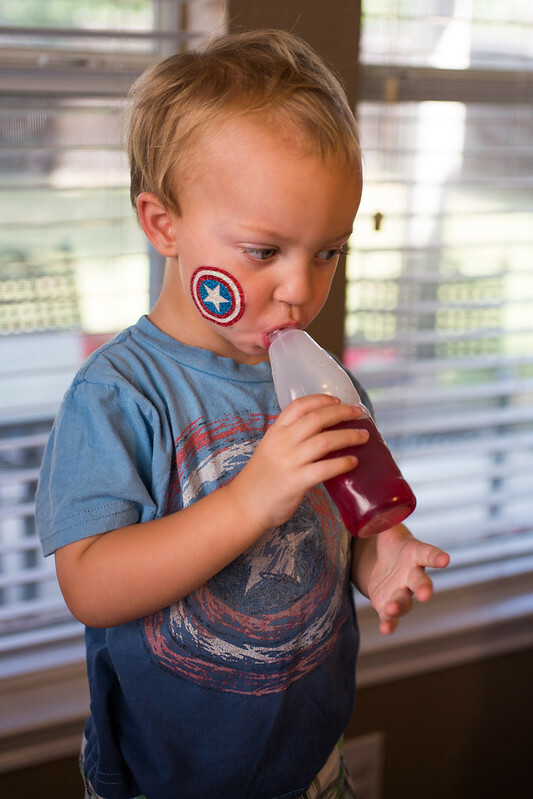 I knew he would be so excited when the movie came out on DVD last week, so we decided to throw a Captain America party with some of his friends to celebrate. 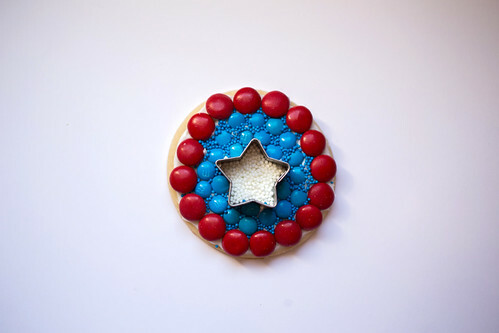 I made some Captain America Shield cookies using M&M’s™, plus lots of other treats. 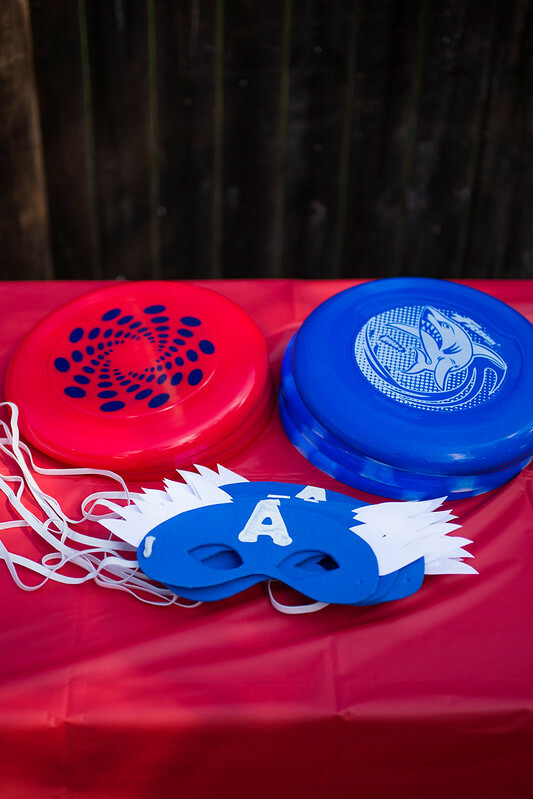 Here are my tips for How to Host a Captain America Party, along with some free printables to help you throw your own! 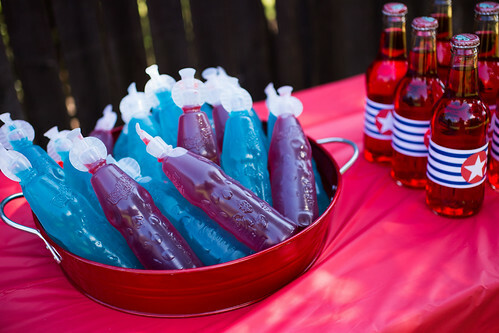 First, you’ll need to gather your party supplies. 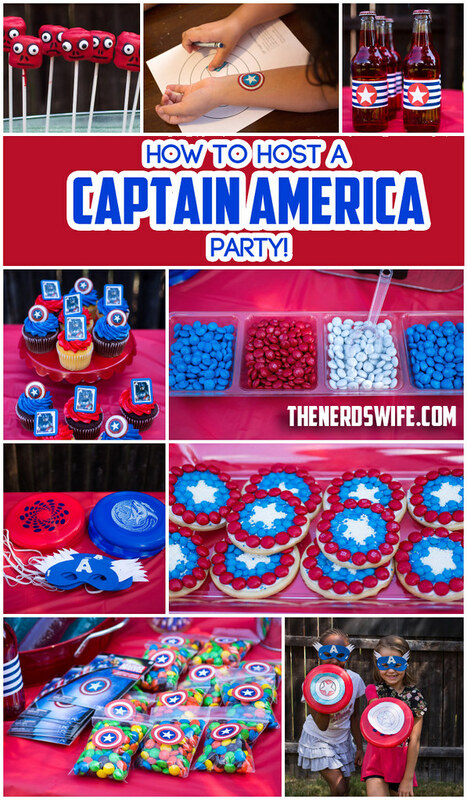 I shopped at Walmart for most of ours, including all the supplies to make our DIY Captain America Shields, Red Skull Pops, and Captain America Shield Cookies. 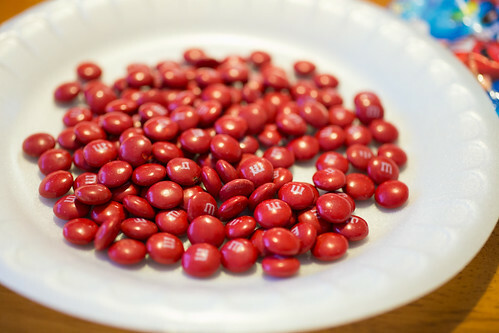 First on my list was a big bag of regular M&M’s and a bag of mini M&M’s. 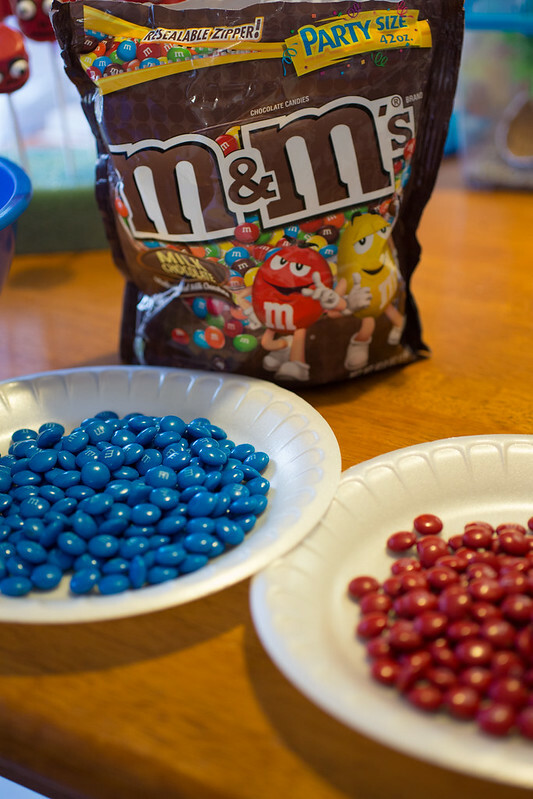 I separated out the blue and red M&M’s from each bag to use for the Captain America shield cookies. 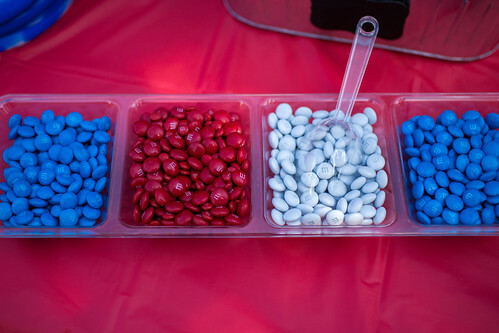 I used the leftover red and blue M&M’s as snacks during the party, and put the rest in small bags to give out as party favors! 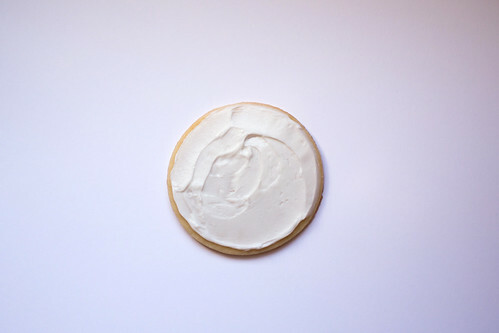 Spread icing onto each cookie. 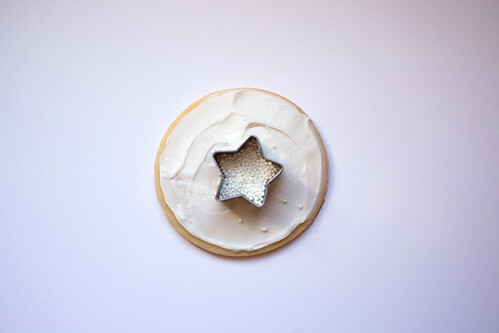 Place the star cookie cutter in the middle and pour white nonpareils into it. 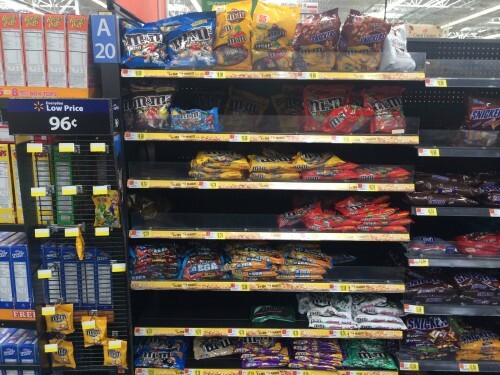 Press them down to set. 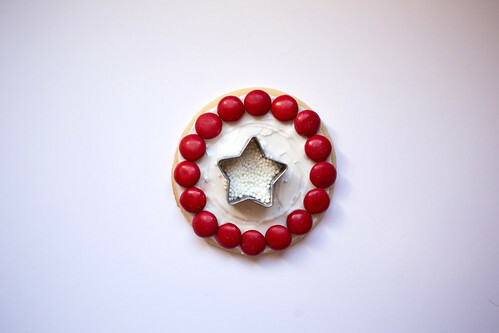 Set the smaller circle cookie cutter around the star and then set the red M&M’s in a circle around it. 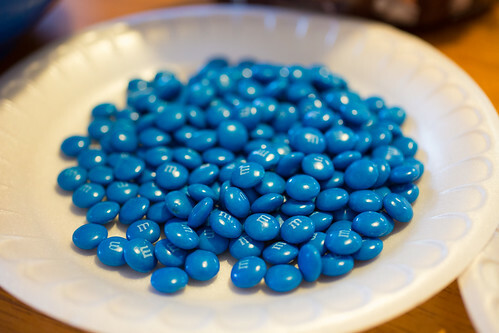 Fill in the area between the red M&M’s and the star with mini blue M&M’s, then fill the in the blank spaces with blue nonpareils. 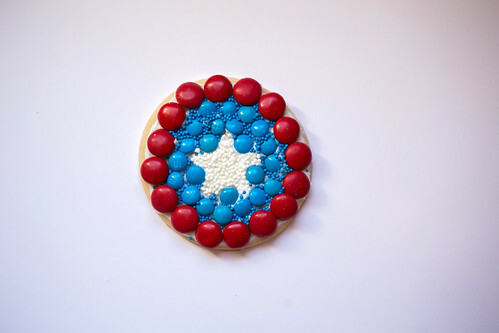 Remove the star cookie cutter, and shake off any excess sprinkles. 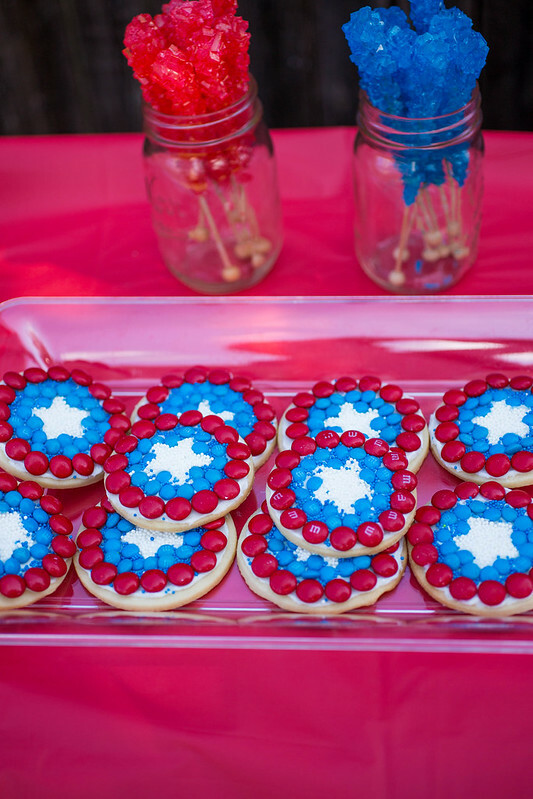 These were a huge hit at our Captain America party! 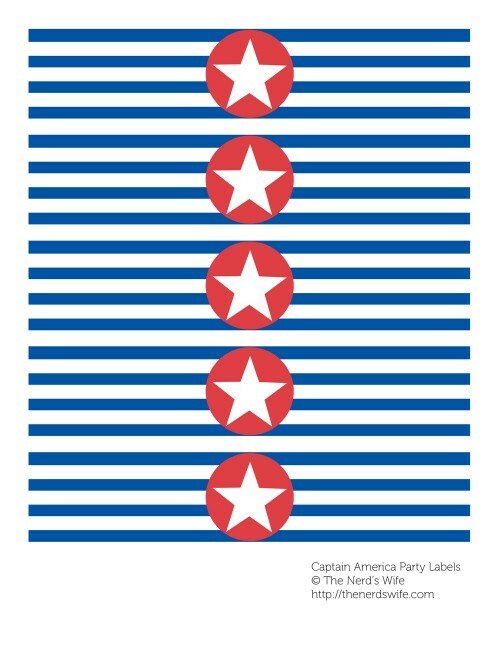 Ready to see the rest of the details? 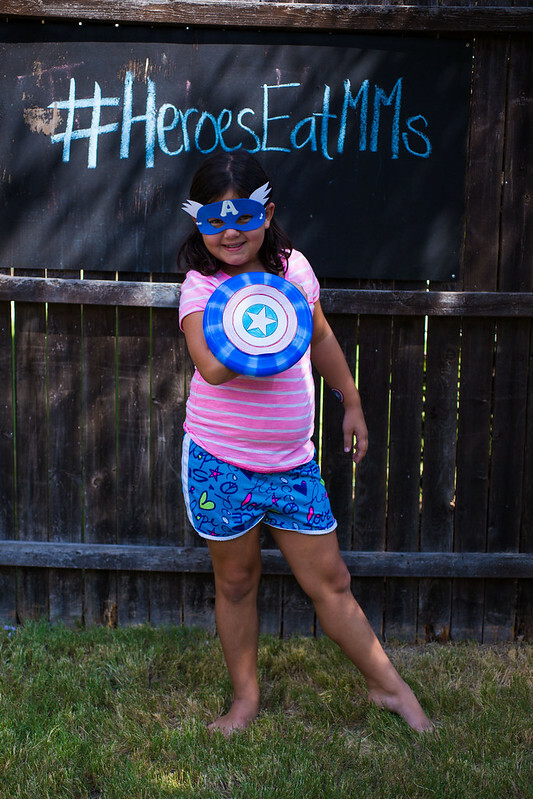 We set up everything in the back yard, which was the perfect place. 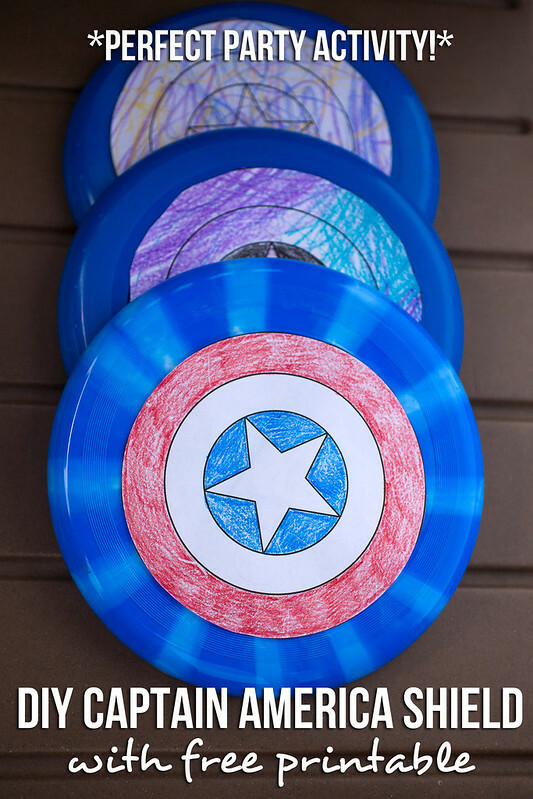 The kids could pick up a Captain America Mask and a Frisbee to make a DIY Captain America Shield as they arrived. 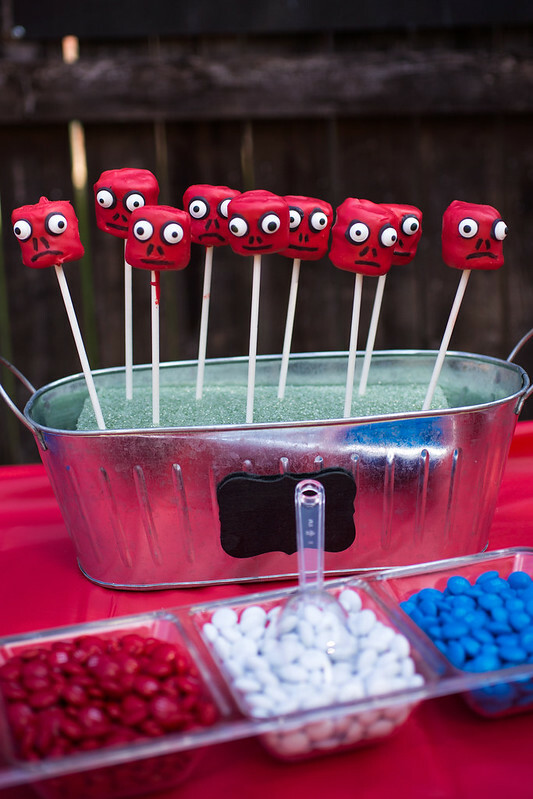 It was the perfect party activity, because it kept them busy until all the guests arrived! 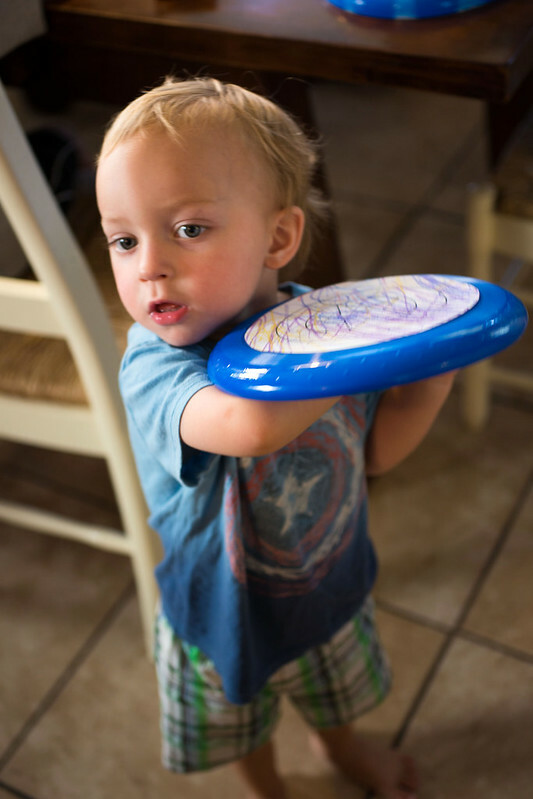 I loved seeing their creativity as they designed their shields. 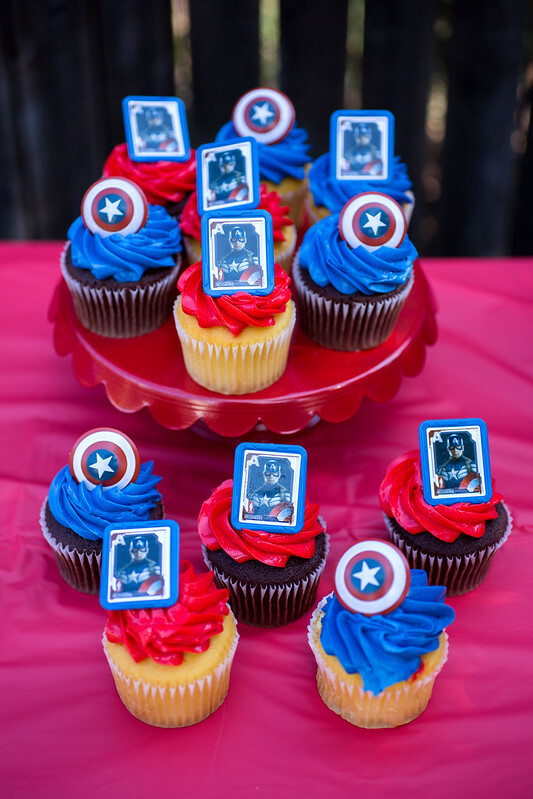 For food, we served Red Skull Pops, M&M’s, Captain America Shield Cookies, and some fun Captain America Cupcakes that I found at Walmart in the bakery. 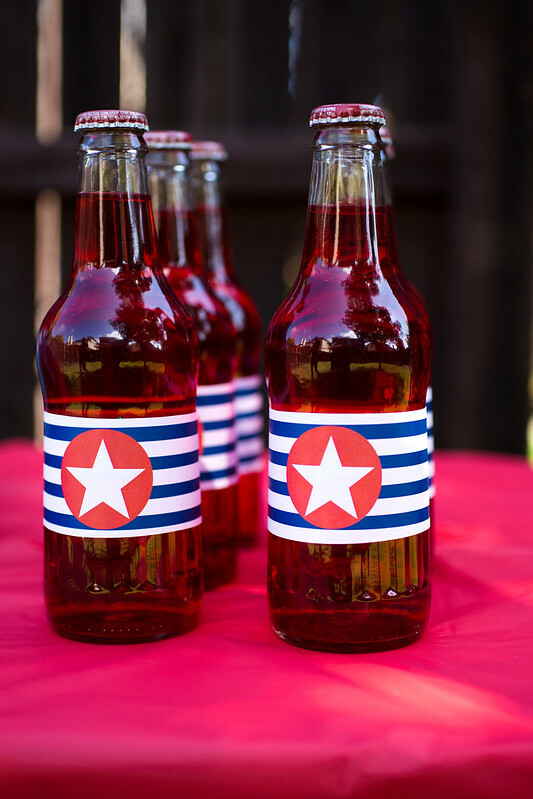 For drinks, we had red and blue Kool-Aide and some bottles of Strawberry Crush that I decorated with fun Captain America-inspired labels. 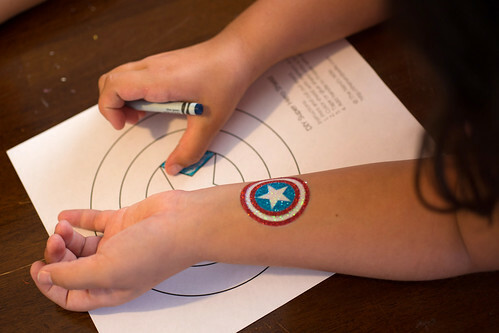 We also had favor bags of M&M’s decorated with mini Captain America shields, some Captain America shield tattoos, and some other fun Avengers trinkets! 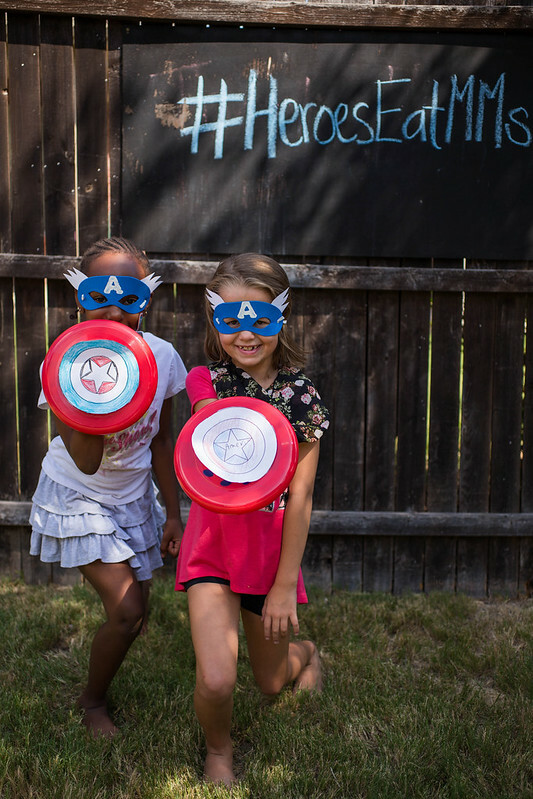 We had a fun photo station set up where the kids could pose with their Captain America shields and masks. 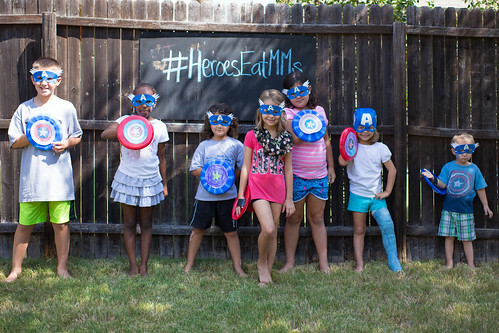 They had so much fun pretending to be super heroes! 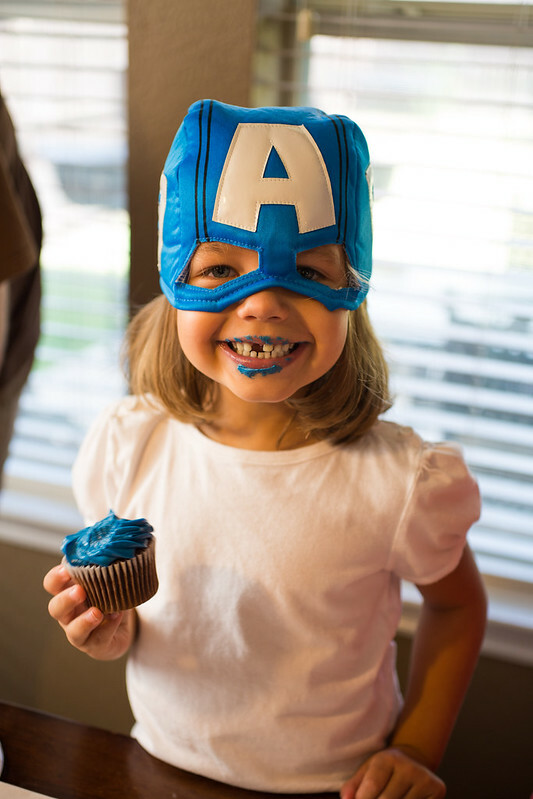 The kids had so much fun at the party. 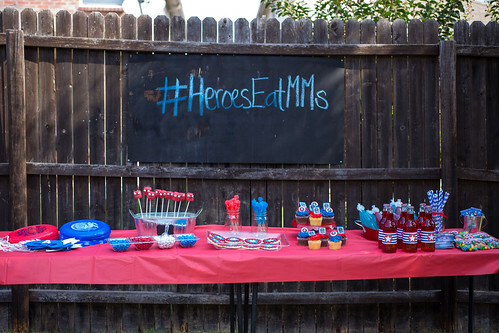 Make sure to check out these M&M’s recipes for your next Captain America party! 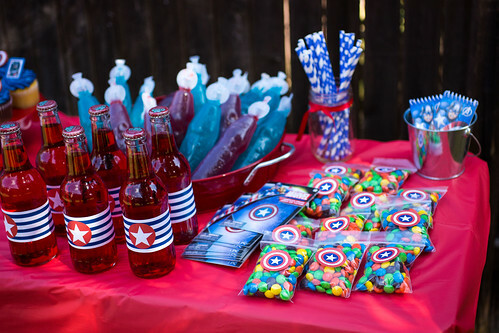 Don’t miss my other Captain America party ideas! 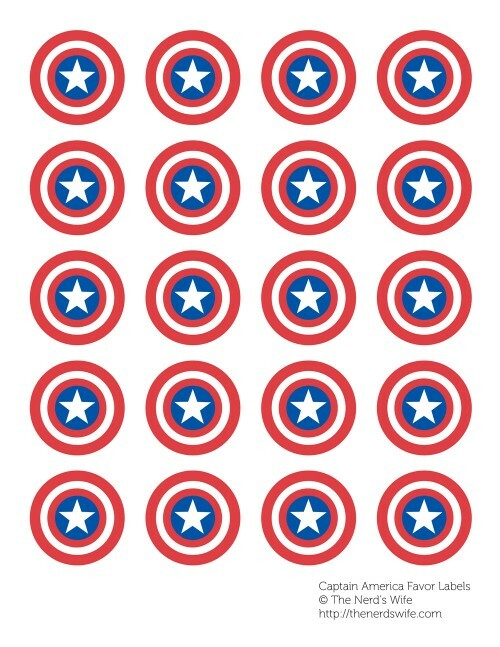 Super, super cute. 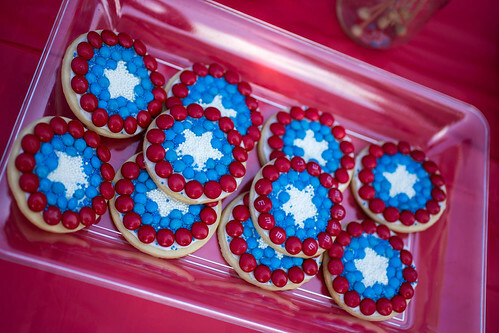 I love the cookies.